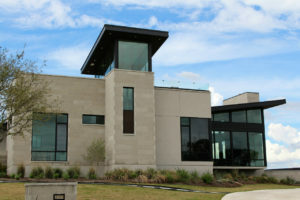 Texas is blessed with a variety of beautiful natural stone. 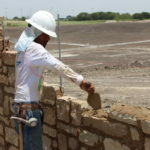 Since 1996, Espinoza Stone’s Limestone, Sandstone and Lueders quarry operations have produced some of the finest stone available in the Lone Star state. Our fabrication capabilities have expanded rapidly through continued investment into state of the art cutting tools and machines. Skilled drafstmen now direct cutting edge tools and production lines. Stone elements that were once hand carved can now be fabricated to exacting standards in a fraction of the time that hand carving required. 5 axis CNC saws, block cutters and polishing lines turn out large scale cladding projects with unmatched speed and precision. The modern architects design toolbox should utilize our modern cutting capabilities and outstanding LEED benefits. 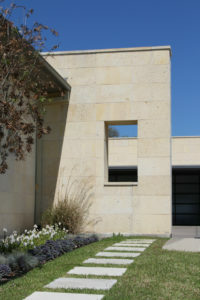 Texas Limestone is an integral part of modern architectures future. The consistent quality our special cuts mill can provide is unmatched. There are few limits to our stone fabrication capabilities. If you can design it, we have the tools and skills to produce it. This video shows some of our newest milling machinery, peeks into our drafting department and our thin veneer and chopped stone equipment. Thanks for taking a look at our video. 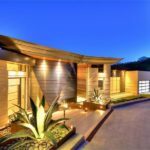 For further reading, this great article from Indiana Cut Stone details the variety of cut stone elements that can add modern looks to projects. 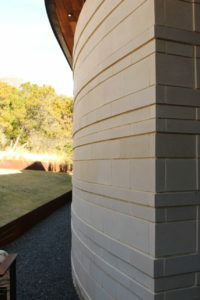 Previous Post:Great Stone Projects Next Post:Which Cement Is Right For Your Job?